Adding a unique raised bed garden is interesting and enjoyable. A raised bed garden is a garden that is built on the top of the native soil or ground at certain height. Any plants ranging from herbs and vegetables to shrubs and perennials can be planted in raised beds. Are you planning to create a raised bed garden? Then, read on further to know the process. First, you need to select the right place in your home yard for raising the bed garden. The site should get at least eight hours of sun per day. Ensure that the area has easy access to water sources. 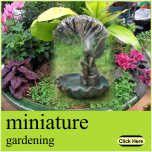 Then, you should determine the size and shape of your garden. It should be designed in such a way that all its parts can be accessed without stepping into the bed. Generally, it is preferred to keep the garden around four feet wide. However, if you are raising the bed against a wall or a fence, the width should not be more than three feet. Now, it is time to prep the site. Remove the existing sod in the area and loosen the soil to a depth of eight to twelve inches. Many people prefer non-resistant lumber such as cedar for constructing the bed. The lumber is cut in desired sized pieces. They are attached together to make a simple frame. Do not forget to level the frame in all directions. If a part of the frame is high, then you should remove some soil beneath it till you have a level frame. The earth or gravel layer at the bottom of the bed should also be leveled first. Then, a layer of weed-suppressing landscape fabric is put down which extends to the outer edge of the wooden frame. Fill your garden with a good mixture of top soil, compost and rotted manure. You are now ready to sow seeds or plant. Knowing these things, you can start making a raised bed garden and enhance the beauty of your yard further.